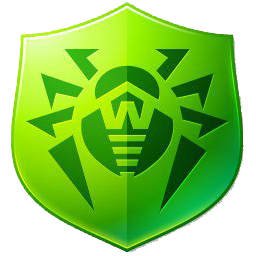 If your Windows or Linux system has been rendered non-bootable by malware, restore it for FREE with Dr.Web LiveCD. Download the Dr.Web LiveCD image. Press Burn and wait for the burning process to complete. Make sure that the CD/DVD drive or any other device with Dr.Web LiveCD is set as the first boot device. Adjust corresponding BIOS settings if necessary. If necessary, change the BIOS boot settings. When booting from Dr.Web LiveCD, you will see a dialogue window prompting you to choose between the standard and advanced boot modes. If you select Dr.Web LiveCD (English or Russian), the operating system will automatically detect and mount all the partitions on your hard drive and set up a connection to the network, if possible. After that you will see a familiar desktop with icons for basic applications and the Start button at the bottom of the screen. If you boot Dr.Web LiveCD in the graphical mode, the Dr.Web Control Center for Linux \ will be launched automatically. Select Settings in the Start menu to switch between Openbox colour schemes, customize the desktop, etc. Once the Dr.Web Control Center for Linux is launched, click Scanner, Then select the scan mode (Full or Custom). If you have chosen Custom scan, tick the drives or folders that you want to check. After selecting drives and folders, click on the Start scan button. If you wish to automatically fix the Windows Registry, corrupted by malware, select Start -> Cure Registry. The utility will automatically detect the registry's location, perform a set of standard tests and make corrections if necessary. You can create a full copy of Dr.Web LiveCD that will be booted from a USB flash drive. Go to Start -> Utility -> Create LiveUSB. If network access can't be configured automatically, you can do it manually. Open Start -> Settings -> Networks Configuration.